Boots Fat Control is a weight loss supplement that is manufactured by Boots Pharmaceuticals. It is a diet pill that is made in the United Kingdom and that is sold on the Boots Pharmacy website as a featured brand. Boots has a number of “control” products for weight loss, including metabolism control, carb control, and others. 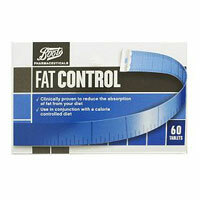 Boots Fat Control doesn’t appear to be among its more popular items. On the official website, it has gained only 2.5 stars in feedback from customers (out of a possible 5 stars). Though a price of £22.95 would make it competitive, considering the poor customer feedback, there may not be any value to go along with the savings. According to the directions for Boots Fat Control, these tablets are to be taken with water, swallowed whole, immediately following a meal. They are meant only for individuals who are aged 18 or older and cannot be sold to people who are 16 or younger. Two to three tablets are to be taken by adults following a typical meal. 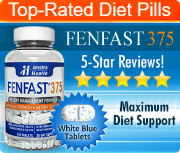 If the meal contains a high level of fat, then three to four tablets are recommended. 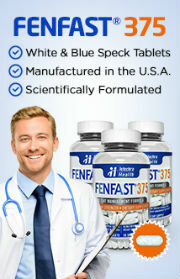 At the same time, no more than 9 tablets can be taken within any given period of 24 hours. It is important to note that the information on the official website notes that Boots Fat Control needs to be used following every single meal for at least 6 months or the goal is reached. This does not suggest that weight loss is rapid nor does it give any indication as to when results should start being seen. The information also suggests that it can be combined with a reduced calorie diet and appropriate physical exercise in order to help with weight loss, though it does not specifically recommend those behaviors to make sure that the product produces any results at all. There is only one active ingredient in Boots Fat Control, which is opuntia ficus-indica, which is the scientific name for prickly pear. This is the same ingredient that appears in many over the counter diet pill formulas, including being the primary ingredient in the highly-marketed Proactol. According to the manufacturer, the patented fiber complex from this substance helps to block fat absorption into the body. The theory is that it will slowly move through the stomach and digestive tract and absorb the fat before it can enter into the body, making it a fat binder. Some studies have suggested that if this ingredient is used in adequate amounts, it can actually block up to 27 percent of the fats from the foods that are being consumed. However, those were small and preliminary and were not considered to be conclusive with regards to actually producing weight loss results.